Posted on January 17, 2014 by Madame B. Posted on January 31, 2013 by Madame B. 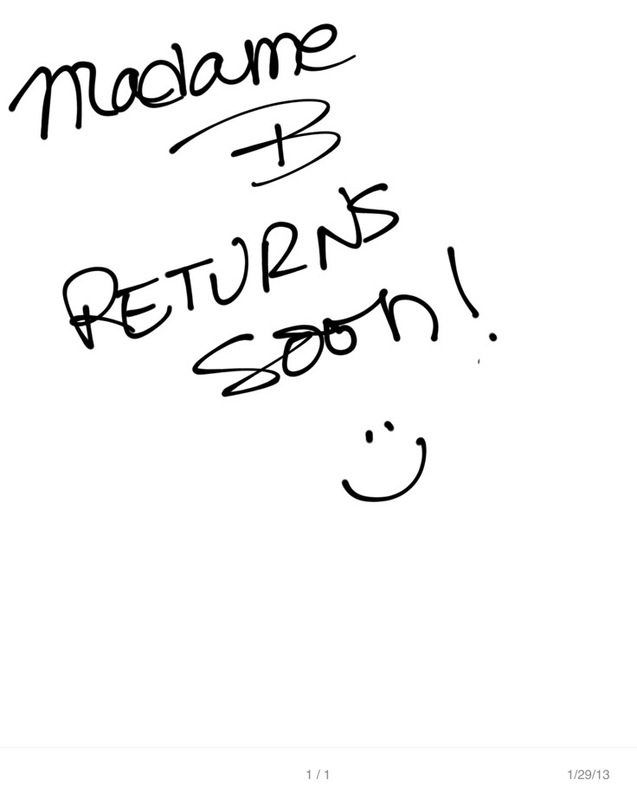 Posted on January 1, 2013 by Madame B. For the last few months, I have been thinking of the American Transcendentalists and finding inspiration in their philosophy. I don’t make many resolutions for the New Year’s because I never keep them, but I will take some advice from my dear advisor H.D.Thoureau. Simply Put! Posted on December 16, 2012 by Madame B.
I have been thinking of Ralph Waldo Emerson quite a bit lately, especially while walking the dog in the woods and photographing Dead Tree Images. I was first introduced to him in high school and then later in college, his words and philosophies have always resonated within me. Ralph Waldo was an American Transcendentalist and I love this description of his movement on http://www.biography.com › People , and I also love this quote from A Cosmic View. I guess you could say I am feeling very transcendental these days! What you want from life cultivate within yourself. When you become what you want you will have it wherever you go. I love the Basque country whether in Spain or France…, it really doesn’t matter both sides are equally beautiful and equally delicious. This is a wonderful recipe that was given to me from my sister Helena. She gave it to me a looooong time ago. I wrote it on an “important message pad”. I love-making this recipe and holding that original piece of paper. The paper the recipe is written on is personal history for me and very sentimental. Do you remember those little pink pads that you would write messages on for your boss or other team members? Do people have assistants that give them hand written messages anymore? Ooh la la or Ole! This is a wonderful one pot dinner, comforting, tasty and oh so Basque! Serve it up with rice. The leftovers are my favorite! Enjoy! Heat the oil in frying pan over med. high heat when oil is hot brown chicken, both sides, season salt and pepper. Remove chicken from pan, reduce heat. Add onion,bacon, parsley, garlic,pepper saute till translucent. After 20 minutes take out white, leave dark for 5 min. Posted on November 23, 2012 by Madame B. What the Dog Taught Me: I’m only a Dog! Posted on November 12, 2012 by Madame B. Posted on November 9, 2012 by Madame B. When I started this blog (about a month ago), one of the many recipes I was going to stir up in my pot, at least once a week was soup . Then I was thinking every other week because the family would say “soup again” but I thought it would be fun for all to look forward to a once a week ritual…a reason to stay tuned in. I”ve cooked a lot of things recently due to inclement weather on the East Coast, but I haven’t made another soup soooo…, I was thinking I always throw together a large salad …,maybe forget the soup and go for the salad…, a new salad once a week. I can call it Salad of the Week. What do you think? I could even add in some good salad dressings recipes. Anyway, the one thing I love about large salads is that they are super resourceful. You can use anything in the fridge. A can of beans hanging out on a pantry shelf could always act as a nice accompaniment. Hard boiled eggs, a couple of boiled potatoes, those olives that need to be used…, the list is endless. I made a salad the other night. 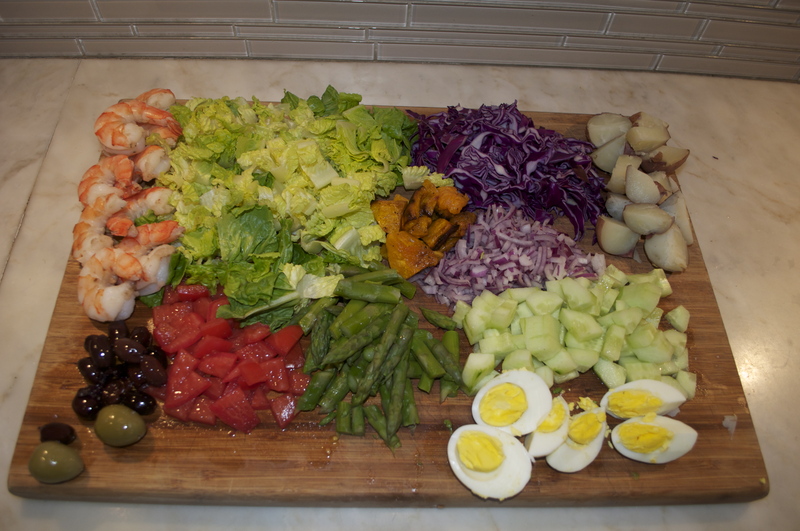 I loved, loved, loved arranging the perfectly chopped vegetables and placing them on a large board. Put the greens here, the purples there, the red down there, oh here comes Mr. Egg, and don’t forget the roasted butternut squash from the other night. The board is becoming a great canvas for my chopping. I think I have created this week’s salad masterpiece. Business Cards, post it notes, note pads, and labels…Oh My!!!! Posted on November 6, 2012 by Madame B.